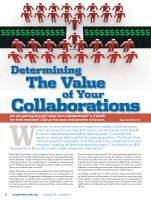 Are you getting enough value from collaboration? Is it worth the time involved? Add up the costs and benefits to be sure.